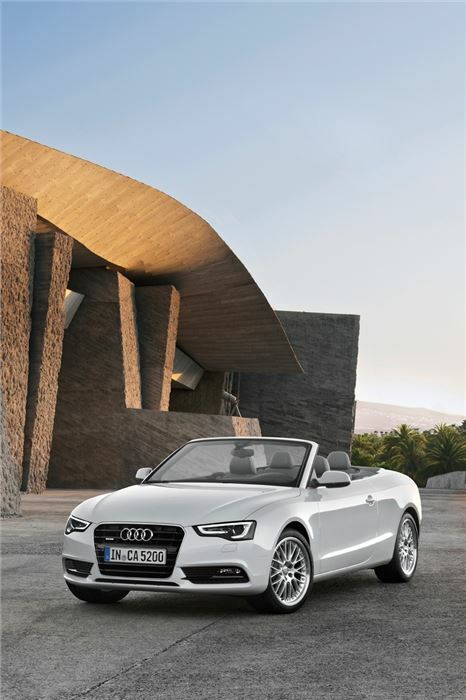 The A5 – in its Coupe, Cabriolet and Sportback forms - has been a smash hit for Audi. 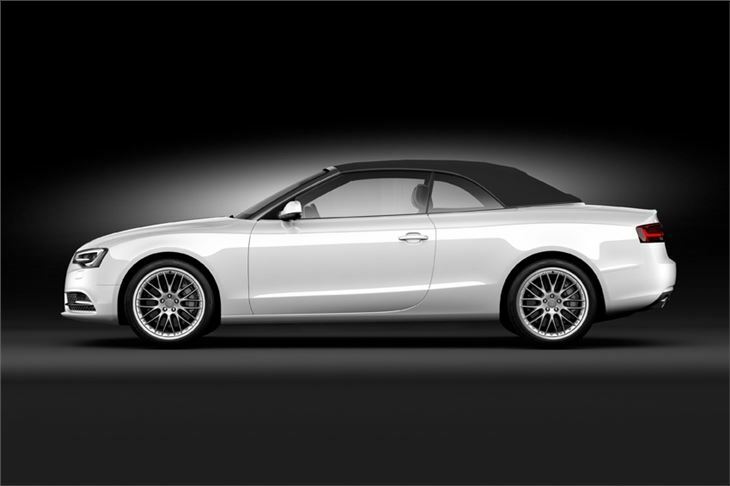 It’s stylish, good to drive, well equipped and has some of Audi’s best technology on the options list. 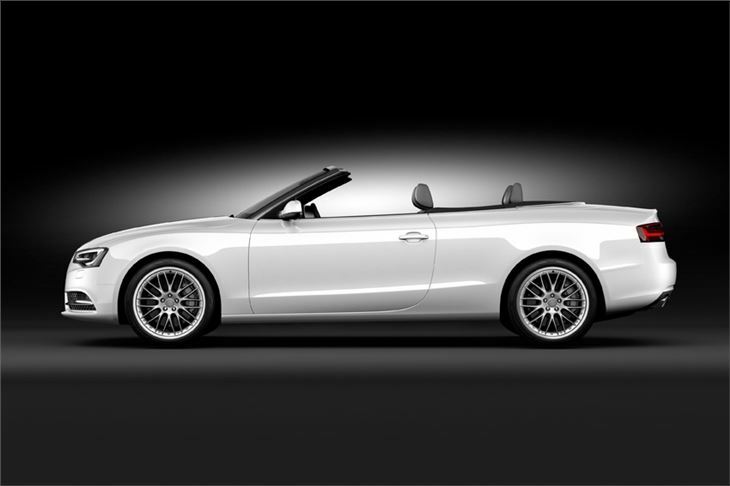 Which has meant a lot of head-scratching for its mid-life refresh. On the face of it, there's not much work needed. But this facelift is important. 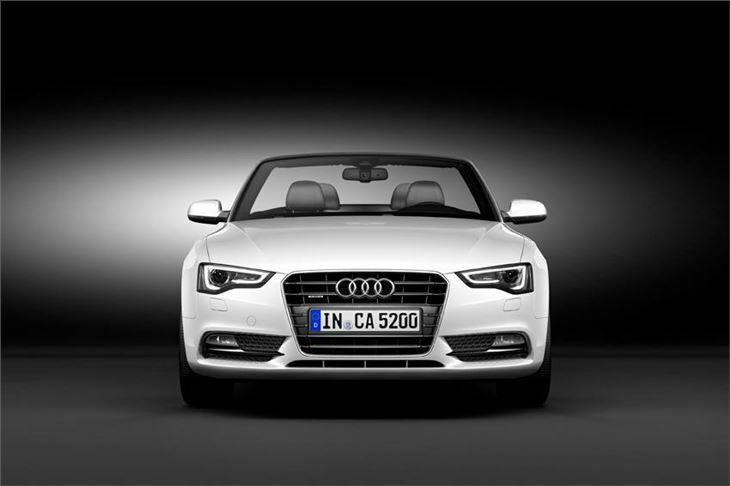 Not only is the A5 range a best-seller in its own right, but these cars are essentially the sexier versions of the more conventional A4. So you can expect the changes here to give a not-so-subtle hint of what we'll see when the A4 and Avant facelifts roll round next year. But that’s for another time. 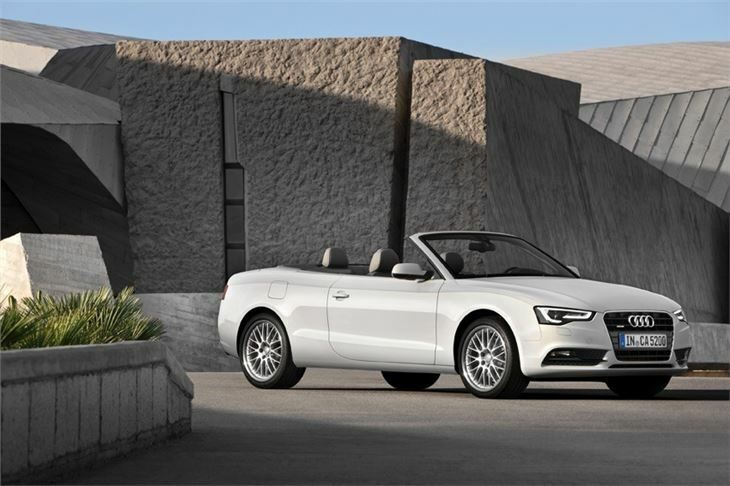 All three models in the A5 line-up benefit from the same nip-and-tucks, so the tweaks apply as much to the Coupe and Cabriolet as to the Sportback. 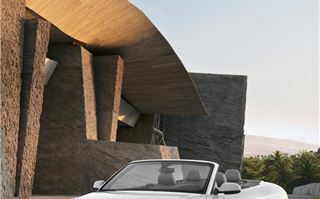 Give the exterior a quick once over and you’ll be hard-pressed to notice that it has changed at all. You may spot that there’s a new LED running light that follows the outline of the main headlight casing to form a wedge shape, but the high gloss single-frame grille, new bumper and extra millimetre in length on all three models are more than likely to pass you by. Changes inside are similarly low-key. The cabin features the same highly-adjustable driving position and a fascia that’s angled towards the driver. 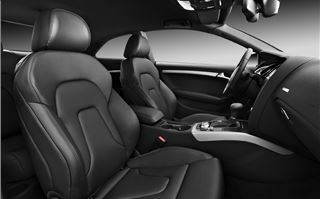 As before, it’s easy to use on the move and all the key functions are at your fingertips, but now there are new aluminium finishes, upgraded leather upholstery and – for the first time – three seats in the back of the Sportback. You can, however, still tell that this was a rear made for two. The third middle seat is very tight and only suitable for a small child. 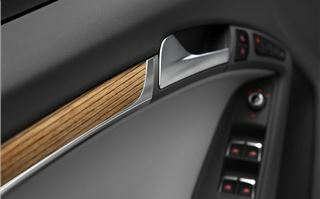 Although welcome, these changes essentially just nibble around the edges of what was already a very good car. But there are more significant changes under the bonnet - and in essence, that's what this facelift is all about. Company car drivers in particular will be pleased to hear that there have been significant CO2 savings in the 2.0 TDI and the addition of a new more fuel efficient 3.0 TDI which replaces the old 2.7-litre TDI. The popular 177PS four-cylinder 2.0-litre diesel now comes in at 122g/km CO2 in front-wheel drive form and is capable – on paper at least – of 60.1mpg. Since launch four years ago, emissions of this engine (in Coupe form) have fallen by 12g/km and fuel economy has improved by almost 5mpg. New to A5 is the availability of a refined 204PS 3.0-litre V6 TDI engine, which replaces the discontinued 2.7 TDI. This modern engine is already offered in the A6 and A8 and is not only clean (significantly more so than the old 2.7-litre), but delivers a level or torque that would have been unimaginable just a few years ago. CO2 is now at 129g/km (that's right, just 7g/km higher than the 2.0-litre TDI) and fuel economy is a claimed 57.5mpg. There’s 400Nm (295 lb-ft) of torque available between 1250 and 3500 rpm, making it a relaxed cruiser and punchy when it comes to overtaking. If you’re wondering about the A5’s existing 245PS 3.0-litre TDI powerplant, this continues to be offered and is paired with quattro all-wheel drive as standard. Both of these engines now make much more sense to company car drivers. 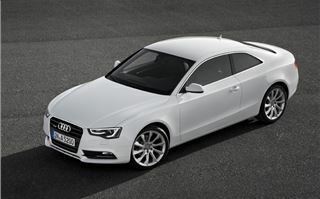 The 2.0-litre TDI Coupe will cost a higher rate tax payer from £2853, while the new 1.8 TFSI engine comes in at £1798. 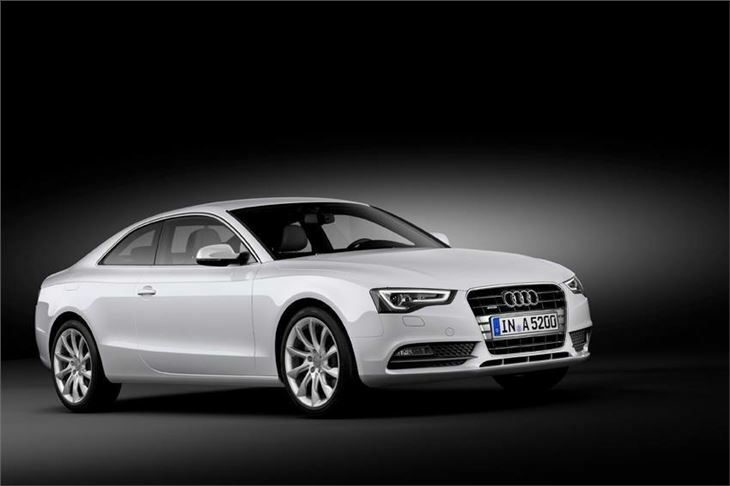 Both of which are lower than comparable BMW and Mercedes-Benz models. 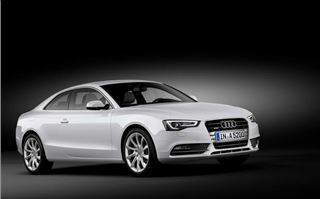 The petrol line-up is bolstered with the addition of a new entry-level engine, the 1.8 TFSI. 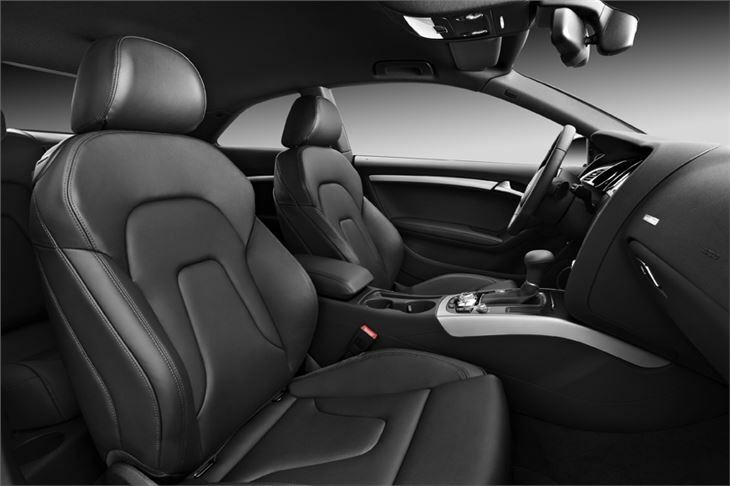 Like the diesels, it’s designed for low emissions and showcases many of Audi’s latest innovations including control of the valves and their lift, thermal management, advanced fuel injection, turbocharging and the integration of the exhaust manifold. It effectively replaces the 180bhp version of the 2.0-litre TFSI, bringing CO2 down to 134g/km (a 21 per cent reduction) and economy up to 49.6mpg. 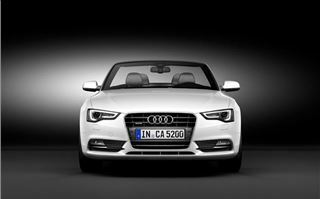 It’s a pleasant free-revving engine to drive and is actually well suited to the A5, with better performance than you may expect from an entry-level engine. 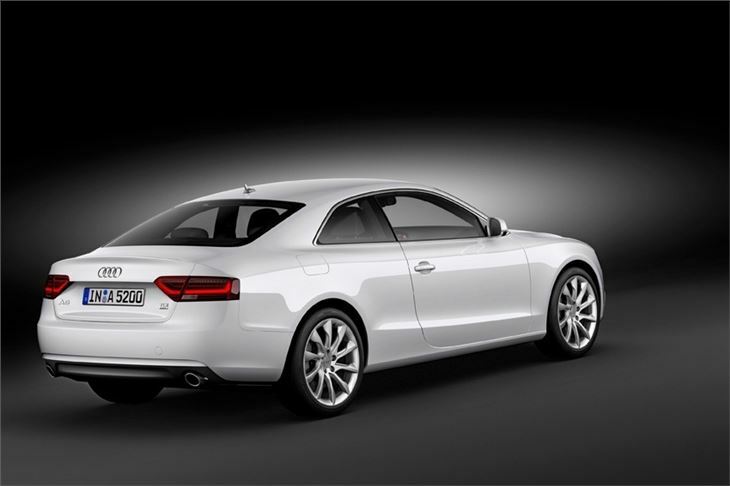 At the other end of the scale, there have been significant changes to the 3.0 TFSI and S5 models. Out goes the naturally aspirated 3.2 V6, which has been replaced by a new 272bhp 3.0-litre V6, which uses a supercharger to compensate for the lower cubic capacity. 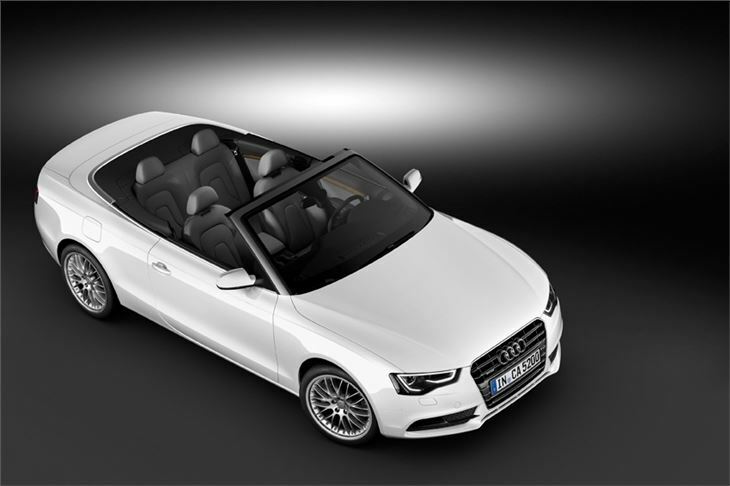 The 333bhp version of this engine – which currently powers the S5 Sportback and Cabriolet models – will now also feature in the S5 Coupe. So it’s cheerio to the long-serving (and great sounding) 4.2-litre V8, which has been the powerplant behind many of Audi’s high performance S models, and hello to a 20 per cent emissions and fuel consumption saving. Many of the CO2 improvements on these engines have been achieved through changes to the stop-start system and more efficient on-board systems. For example, the electromechanical power steering now conserves power when it’s in a straight-line, as it’s essentially not needed, a move that Audi reckons will save 0.3 litres of fuel per 100km. 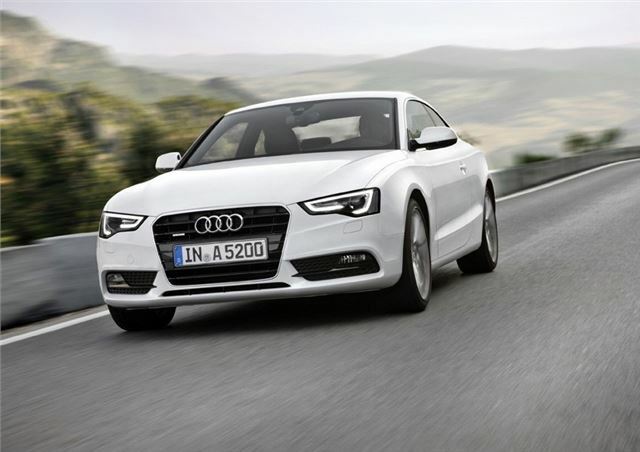 Prices for the A5 start at £25,540 and orders can be placed for the revised A5 now, with first deliveries expected to start in December.